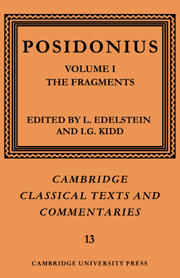 Posidonius was one of the most important philosophers and intellectuals writing in the Greco-Roman world of the first half of the first century B.C. 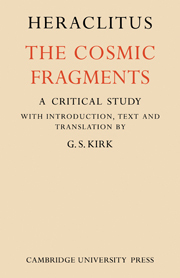 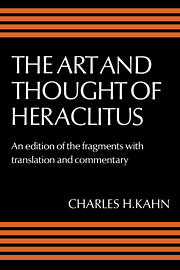 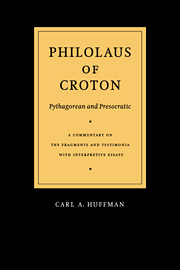 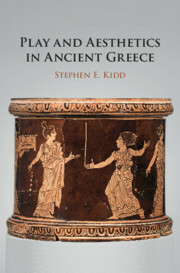 This book is a commentary on the surviving testimonia and fragments of his work collected in volume 1. 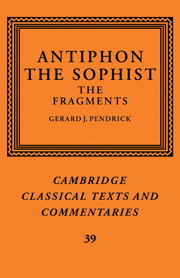 Its purpose is to explicate and understand the evidence of these fragments, which must form the basis for any estimate of Posidonius' contribution to the learning of his time in the history of ideas. 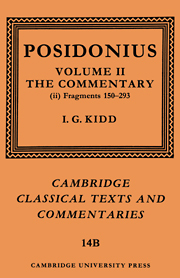 Since Posidonius was reported by at least sixty different writers, an attempt has been made to disentangle what Posidonius said, as distinct from the interpretations and distortions of his reporters. 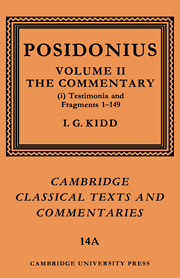 Posidonius wrote at length not only on philosophy, but also on the sciences, and a large History, and Professor Kidd has assessed Posidonius' work against the background of the philosophical, scientific and historical writings of his predecessors, contemporaries amd followers; for this many other related passages are cited and examined.